The Huawei Honor Smart Watch Band Zero can help you monitor daily activities by automatically identifying how you are working out. It also provides realtime feedback. The smartwatch also gives you feedback and insights by analyzing your sleep cycle. 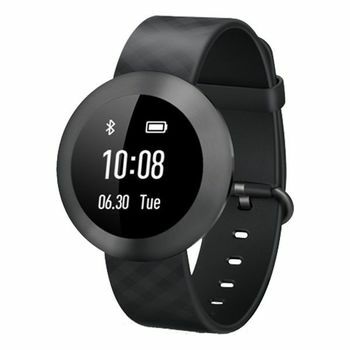 The Huawei Honor Smart Watch Band Zero’s 1.06inch PMOLED touch screen is break and scratch resistant. It delivers a full touch screen experience that is free of lag. Simply moving your hand activates this touch enabled display. The Huawei Honor Smart Watch Band Zero is IP68 certified, making it dustproof and water resistant. So whether you’re jogging in the rains, enjoying a desert safari, or just taking a shower, this watch will always keep you company. The Huawei Honor Smart Watch Band Zero alerts you to the notifications that matter the most. Incoming calls, messages, alarms, and reminders can be viewed with just a glance. The accessory helps you navigate through the complexities of your life with ease. 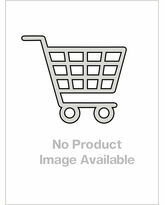 NOT FOR SALE PERSONAL 24 HOUR TRAINER The Huawei Honor Smart Watch Band Zero can help you monitor daily activities by automatically identifying how you are working out. It also provides realtime feedback. The smartwatch also gives you feedback and insights by analyzing your sleep cycle. 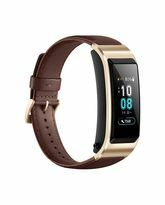 AMAZING TOUCH EXPERIENCE The Huawei Honor Smart Watch Band Zero’s 1.06inch PMOLED touch screen is break and scratch resistant. It delivers a full touch screen experience that is free of lag. Simply moving your hand activates this touch enabled display. RUGGED The Huawei Honor Smart Watch Band Zero is IP68 certified, making it dustproof and water resistant. So whether you’re jogging in the rains, enjoying a desert safari, or just taking a shower, this watch will always keep you company. INTELLIGENT REMINDERS THAT KEEP YOU IN TOUCH The Huawei Honor Smart Watch Band Zero alerts you to the notifications that matter the most. Incoming calls, messages, alarms, and reminders can be viewed with just a glance. The accessory helps you navigate through the complexities of your life with ease.